The US$10 billion funding, which Bloomberg News reported last month, makes Ant the world’s largest fintech firm and equips it with enormous resources for expansion. The company is already China’s biggest online payments service and controls the world’s largest money market fund as it moves deeper into areas from consumer lending to credit scoring. Ant Financial posted a 65 per cent jump in pretax profit, rising to 9.18 billion yuan (US$1.4 billion) in the fiscal year ended in March, according to Bloomberg calculations based on company filings. Carlyle spokesman Brian Zhou declined to comment, as did Ant Financial. Warburg Pincus spokeswoman Li Mingxia and CPPIB’s external spokeswoman also declined comment. The capital infusion can aid Ant’s battle with Tencent Holdings Ltd. for consumers while helping the company weather a more stringent regulatory environment. 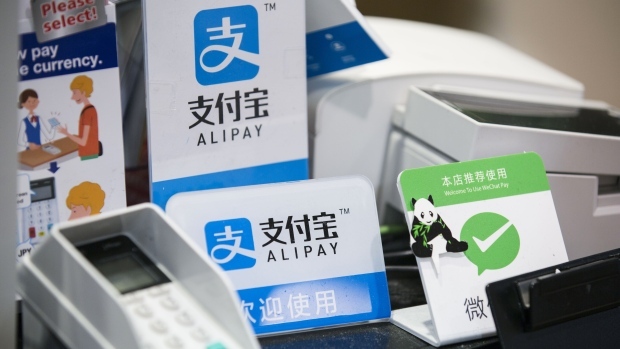 Temasek’s backing could also be key as Ant seeks to promote the use of Alipay beyond China. Ant, the financial affiliate of Alibaba Group Holding Ltd., is formally known as Zhejiang Ant Small & Micro Financial Services Group Co. Spanning online payments, insurance, lending, credit scores, asset management and more, the behemoth resembles a mashup of PayPal, Geico, Wells Fargo and Equifax -- with a bit of BlackRock thrown in for good measure. Thanks to clever mobile apps and a burgeoning Chinese middle class, Ma’s company handles more than US$2.4 trillion of mobile payments every three months. Many of the company’s 870 million customers rely on it for nearly every aspect of their financial lives. In February, Alibaba announced plans to buy a 33 per cent stake that would give the e-commerce giant its first ownership of its payments affiliate since it was controversially spun out in 2011. Ant’s Alipay has been instrumental in driving Alibaba’s business and is increasingly employed in physical stores around the world, shadowing the movements of Chinese tourists. It’s now drumming up its presence overseas via investments into India’s Paytm and Thailand’s Ascend Money, an arm of the agriculture-to-telecommunications conglomerate Charoen Pokphand Group.